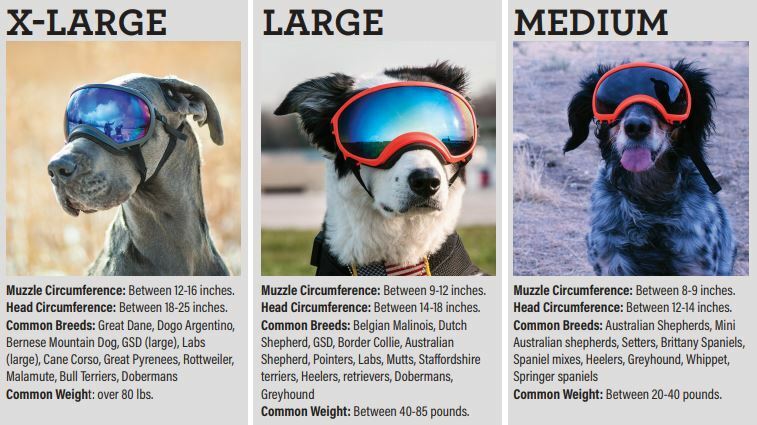 Rex Specs are protective eyewear for the active dog. They are stable and secure while still allowing for full jaw motion and field of view. Rex Specs protect your dogs eyes from debris, environmental hazards, and sun. All lenses are UVA/UVB protective and assist in the treatment of canine eye conditions such as pannus (Chronic Superficial Keratitis). 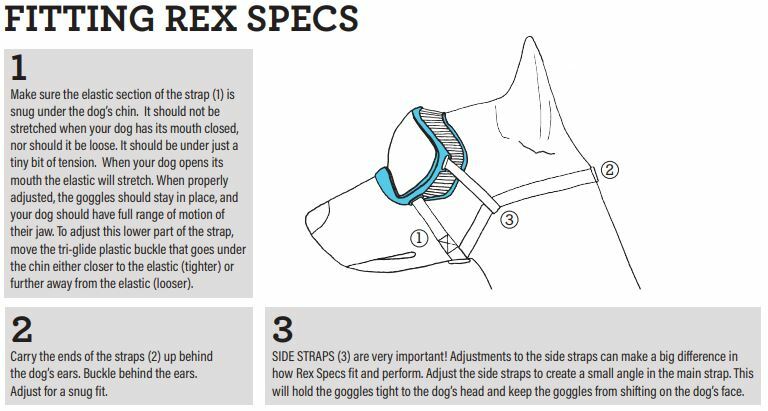 Rex Specs have been designed and tested for the working dog be insure they meet the needs of any dog and any adventure. Used by many Police, Military and other working dog units. If you need a particular size and it is not in stock, email us at orders@k9pro.com.au and we will do a special order for you! Rex Specs dog goggles come with 2 lenses - 1 Clear and a second tinted lens. All lenses are interchangeable and rated UV400 to provide protection from UVA/UVB rays. We used these for a blind dog to prevent her taking her eyes out on twigs and sticks while we were walking in the bush. She adapted to them very quickly and they kept her safe. So I got these first my dig went he is on the back of the Ute, as he loves hanging his head over the side. He used to do this up to about 60kmh, then stick his head back in, he also used to finish a long drive with bloodshot eyes from dust and bugs, eye infections were normal. Since getting these, he'll hang his head out at 100+kmh and no more bloodshot eyes or infections. Training him to like them was a challenge, we found easiest was to only put them on when he's playing or when going in the Ute, so he associated them with fun, now he grabs them when he wants to play or when he wants to go in the Ute. Conversely, my fuel bill has gone up as I just can't say no to him. Definitely get people looking with the blue polarised lenses too when he's staring at people looking super cool. French Linen MINI Tug 3" x 4"